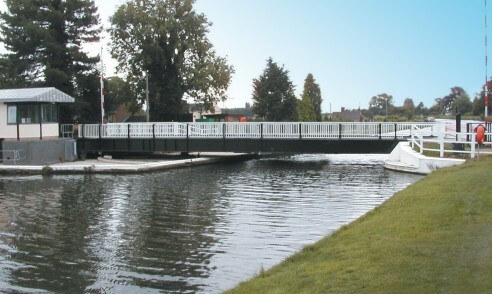 Design, supply, installation and commissioning of a road swing bridge over the Gloucester and Sharpness canal at Fretherne. Incorporate British Waterways structural design within a buildable proposal. Design and detailing of fabricated bridge sections, and all associated slew gear and control systems. Install all equipment onsite, on to new civil foundations, within very restricted site environment.